Many people are considering buying a second or vacation home in Mexico and only want to spend a few weeks or part of the year in it. The financial opportunity exists to make enough rental income to cover the property's costs. A purely hands-off rental investment property is extremely desirable. 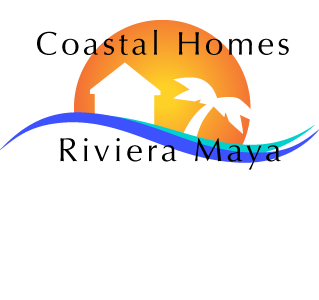 You can generate income while a property in the Riviera Maya appreciates in value. Certainly not the case now, or in the near future, in the US. How can this be accomplished? The first factor to consider is tourism figures. The Riviera Maya, along the beautiful Caribbean coast, attracts large numbers of visitors, giving you a large pool of potential renters since it is a highly desirable vacation destination. More and more tourists opt for living the lifestyle here, in a home or condo, rather than having a resort experience. Mexico's occupancy rates are averaging 65%, even during the economic downturn. Beyond the numbers of tourists and rates of occupancy, you of course need an attractive property that is in a desirable location. Amenities are key to potential renters and your success in renting. The type and quality of those amenities your property offers will guide your renters to you. Your furniture choices will even make a difference. An absolute must is finding an excellent property manager. One who will take care of any necessary duties including the cleaning, bill paying, maintenance and repairs. With everything in place, you can expect weekly vacation rentals for at least 18-24 weeks per year. Growth in Tulum is also creating an urgent need for short term accommodation, 6-12 month periods of time. Right now there is simply not enough supply and that gives you an excellent opportunity for profitable gains in rentals and appreciation. Contact us for further information about the tremendous opportunity to own in Tulum, starting at less than $200,000. Mexico boasts thriving communities of North Americans. Offering rich culture, spectacular beaches and charming towns, the Riviera Maya is a top choice for retirees. The real estate bargains and the proximity to the US leaves little to doubt the wonderful years to be spent relaxing and discovering the many attractions. You will find something for every taste, from water sports, fishing, cultural events, historical and archeological sites, and the most beautiful beaches. One thing expats appreciate most about life in Mexico is the friendliness of its people. Medical care in Mexico provides personal care and attention by highly qualified physicians, along with state-of-the-art facilities and equipment. The care is so good that Mexico is rapidly becoming a top medical tourism destination for many North Americans. You will also find reliable services, internet, modern malls and medical centers, banking on line, easy bill pay, and low-cost health care. The services and products are comparable. With the low cost of labor, it is easy to find help with housekeeping, gardening and maintenance that many retirees cannot afford in North America. In spite of the media coverage, the Riviera Maya is safe and secure. The media will seek out and highlight the most horrible events, but most people will apply a sense of reason and balance to that reporting. Mexico remains a top choice for enjoying your retirement years and stretching your investment dollars. Many retirees find lower real estate costs, high-quality medical care, warm weather and cost of living savings contribute to the sensible choice of living in Mexico.